Ernest Ranglin pretty much invented Ska guitar playing. Most famous for his guitar playing on ‘Little’ Millie Small’s ‘My Boy Lollipop’ in the early ’60s. He’s also played guitar for Prince Buster, Lee ‘Scratch’ Perry, Jimmy Cliff & a heap of others This is the album of his I have entitled “Below The Baseline” – an amazing performer. Saw him when he supported Massive Attack & Horace Andy back in the early ’90s . In a grumpy bid for privacy, I went op-shopping today for curtains. 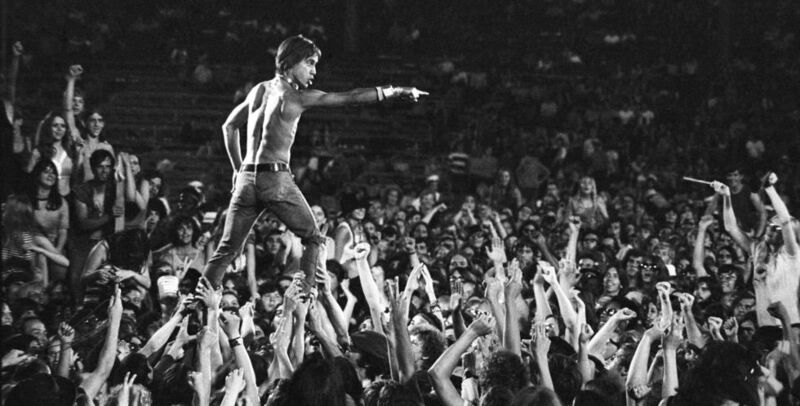 The above is Iggy Pop, performing for a US talk show audience, recently. 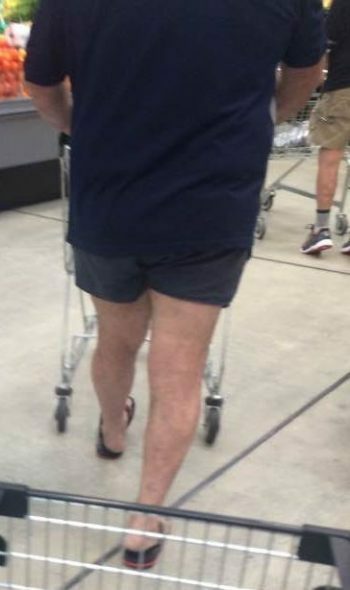 Above is a scene from this week, at the supermarket – note rugby shorts. Below are scenes from the 1970s – note the stubbies.